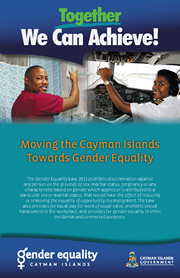 The 2014 National Conference on Women was an empowerment conference that brought together women and men and boys and girls of differing ages and cultural and other backgrounds to address the social, cultural, economic and political challenges that women and girls experience in the Cayman Islands. The response to the conference was overwhelmingly positive, with over 175 persons in attendance and many reporting that the opportunity for national-level dialogue on these important issues was informative, inspiring and empowering. Held at the Westin Grand Cayman Seven Mile Beach Resort and Spa Governor's Ballroom on Saturday, 29th March 2014 from 9:00AM until 3:00PM, there was no registration fee and complimentary continental breakfast and lunch were included. Participants were also able to attend for the full day or only the morning session (9:00AM - 12:30PM) or afternoon session (1:30PM - 3:00PM). Create a space in which to educate, inspire and empower girls and women to be 'Architects of Change' at a personal level and within society and promote messages of equality between men and women. 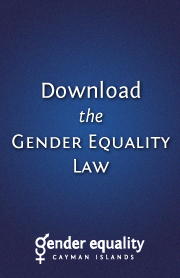 The Conference Report will help to inform the CEDAW implementation plan and other government initiatives. 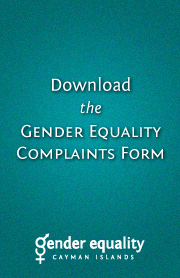 It will also inform the broader work of the Ministry and help mainstream a gender perspective throughout the entire public sector in order to identify and address these varied concerns through legislation, policy and programming. Click here to hear the Hon. Tara Rivers, Minister for Education, Employment & Gender Affairs, and Tammy Ebanks, Senior Policy Officer (Gender Affairs) discuss the conference, including some of the key issues and possible solutions that were identified by participants. In order to ensure the perspectives of women and girls living in the Sister Islands were also captured, the Ministry hosted a similar meeting in Cayman Brac at the Layman E. Scott High School Hall on Saturday, 28th June 2014 from 9:00AM until 2:30PM. 20 persons were in attendance, and while the meeting was specific to the context of the Sister Islands, it had the same objectives as the conference in Grand Cayman and utilised a similar agenda. Small focus group discussions took place during the morning session and the afternoon session included a video showing of the spoken word performance and keynote address at the National Conference on Women. Download the Meeting Report here! All local residents who were unable to attend the conference in Grand Cayman or meeting in Cayman Brac and participants that may have had contributions relevant to other focus areas were also encouraged to provide additional information, perspectives and experiences to the Ministry in order to more richly inform this work. Read more about the public consultation exercise that closed in June 2014 here and read a letter from the Cayman Islands Human Rights Commission commending the Ministry's work here.